The Art of Vicki: Guy! 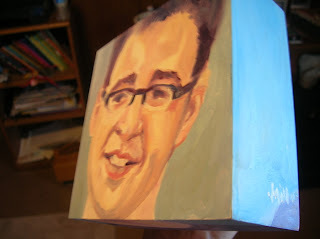 I'm on a roll, this painting is of my dear friend Guy. I rocked this out in about 2 and a half hours, and am quite satisfied with it. 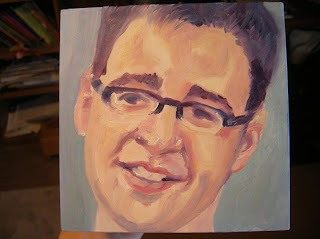 Working this size (5x5) allows me to work fast, and the gesso board is a wonderfully smooth surface to work on. Hey Vicki, I REALLY like these last few! You are starting to make me feel lazy!